How Do I Stop My Chickens From Getting Over The Fence? Home / Learning Centre / How Do I Stop My Chickens From Getting Over My Fence? How Do I Stop My Chickens From Getting Over My Fence? Got some flighty feathered friends on your hands? You can keep them safe in your backyard by taking a few easy precautions. No more escapees for you! Many backyard chicken keepers clip their chooks’ wings in order to prevent them from flying away, and to keep harmony within the group. We’ve all seen that one particular chook take flight and go, go, go, happily squawking all the way sounding more like a migrating goose than our beloved chook. Which feathers should you trim? Completely spread out one of your chook’s wings. 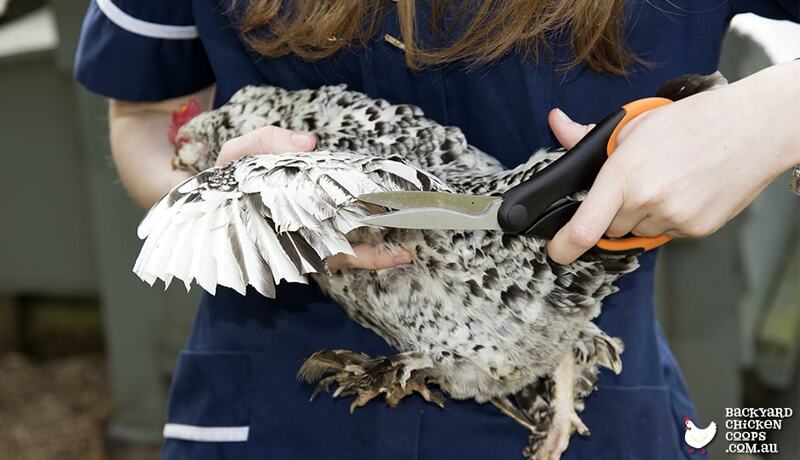 You want to trim the primary flight feathers. The primary flight feathers are the longest feathers at the front of the wing. Chickens typically have ten of them and they are often a different colour. 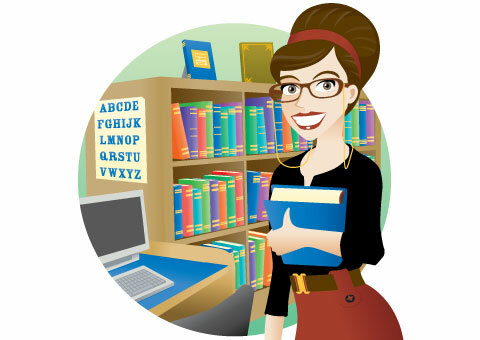 See the image below – a great guide as to where to clip! Trim only one wing! It’s completely unnecessary to trim both, as clipping one wing places the chicken at a major disadvantage by being unbalanced. This might seem a bit obvious but it really is an effective method. Chickens aren’t born to fly, and most common backyard breeds can’t flap far up into the sky, no matter how strenuous their efforts! Putting some wire fencing or mesh on top of your existing fences should keep your flock from being able to high jump over. Getting a run for your chicken coop is a great idea if your chickens persistently make the flight to freedom! 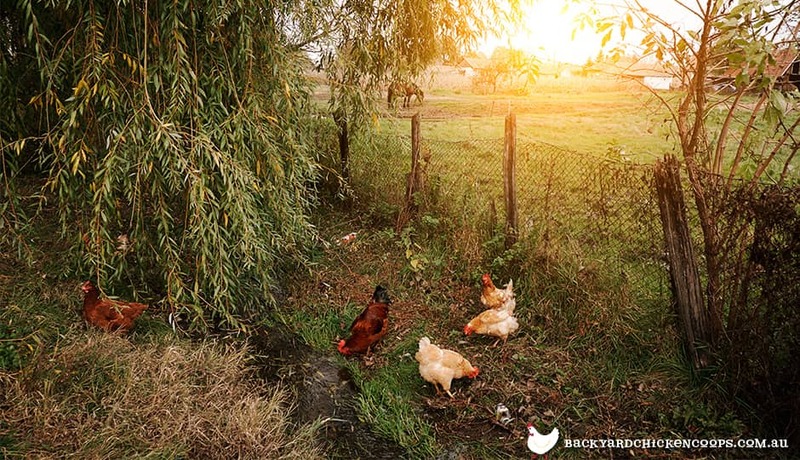 Keeping your chickens in a run gives them all the benefits of free ranging - fresh grass, access to grit, worms and bugs and room to stretch their wings, whilst keeping them safe from predators. 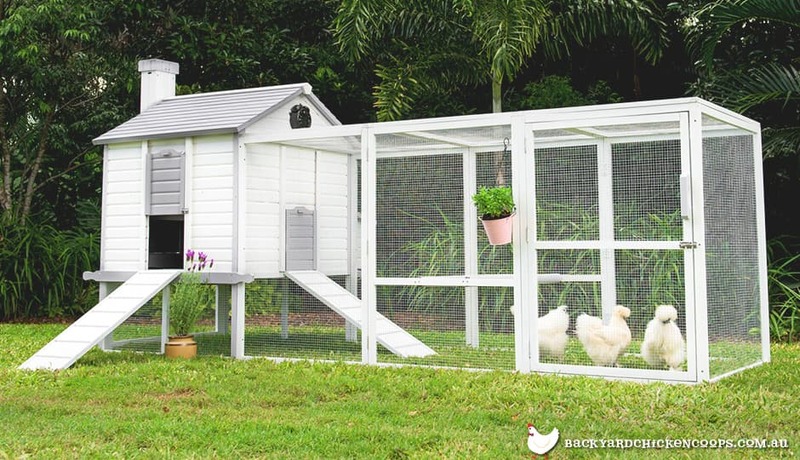 Your chicken’s definitely won’t be bothering the neighbours if you're keeping them in a run! Our Taj Mahal and Penthouse coops come with a run attached, and our Mansion coop also has a detachable run available for purchase. Don’t fret if your chickens are frequent flyers - there’s lots of ways to ensure they stay safe and sound in your backyard.